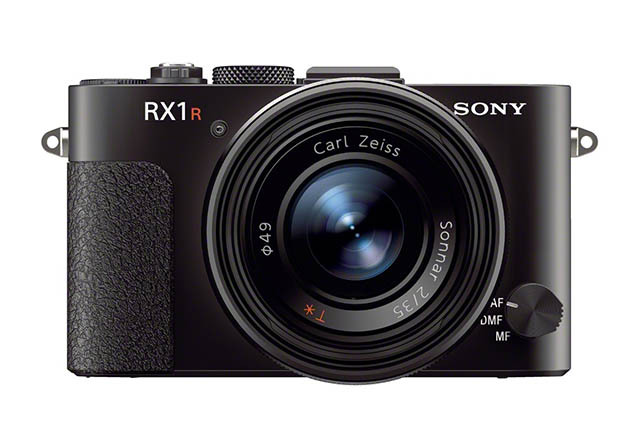 Sony has released a Mark II version of the RX1R, a high-end full-frame compact camera released 2 years ago. This new edition features what Sony’s claim to be the world’s first camera with a optical variable low-pass filter which can be set to off, standard or high. This lets you choose between having a very sharp image, with the increased risk of moiré, or having slightly reduced sharpness with better moiré control. You can even bracket your shots with the optical low-pass filter in different settings! Here’s a video describing how it works. The sensor is now 42MP, compared to the 24MP from the first RX1R, with an ISO range of between 100-25,600, expandable to 50-102,400. It has also been improved to transmit data 3.5x faster than the original RX1R. The lens is a fixed 35mm f/2 Zeiss Sonnar T*, featuring a macro shift ring for close focussing up to 14cm. A 9-blade aperture ensures a smooth bokeh while the in-lens shutter allows you to sync with your flash at up to 1/2,000s. Sony has also implemented the pop-up EVF first seen on the RX100 III, but with an increased resolution of 2.4M dots. A 3″ swivelling LCD with 1.2M dots adorns the back of the camera. It can be tilted up 109 and down 41º. Unfortunately, all these goodness does not come cheap. Like the original RX1R, this is a premium, high-end product. At a cost of US$3,300, it costs more than the A7RII. 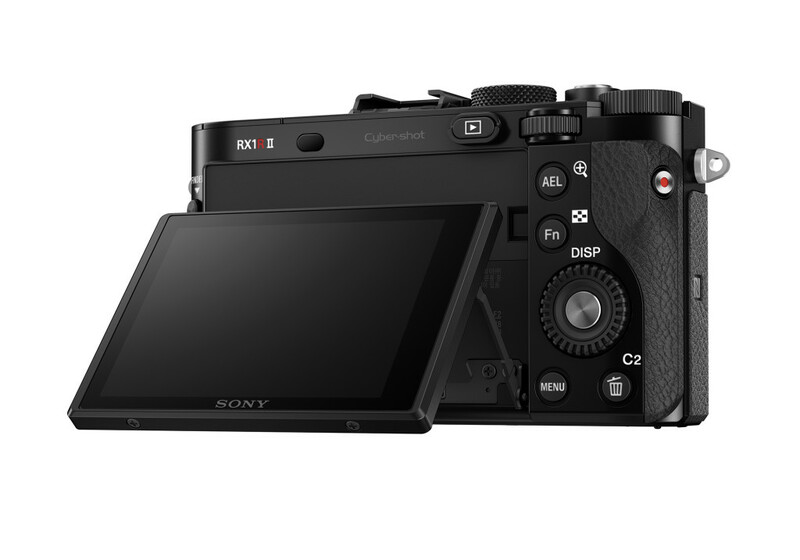 Granted, the latter doesn’t come with a lens, but US$3,300 is still fairly expensive for a compact camera, though no more than that German brand. It’ll be available from November 2015. 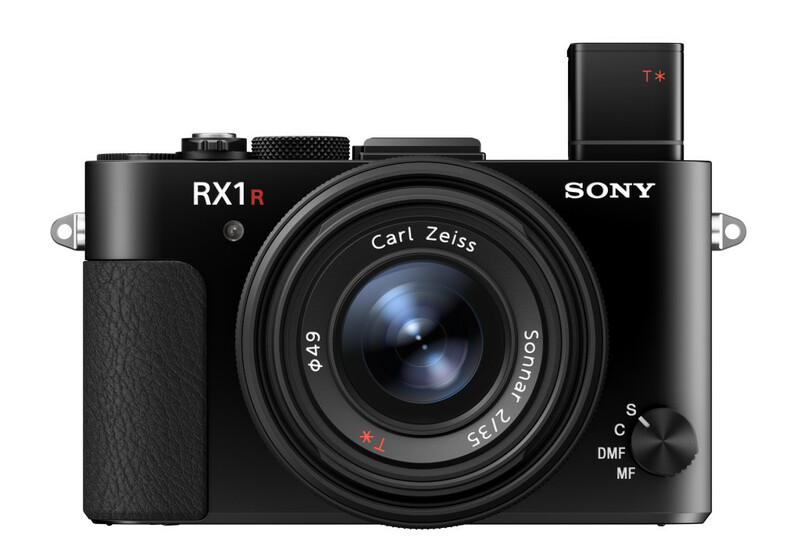 Sony today released the CyberShot DSC-RX1R, an update to the rather pricey but nonetheless popular CyberShot RX-1 released last year. It’s exactly the same as last year’s RX-1 but without the anti-aliasing (AA) filter, which is supposed to give you a sharper image at the expense of possibly more moiré. It’s just as pricey, costing US$2,800 and will be available from next month. The RX1 will still be sold, so it’ll be kind of like the Nikon D800, which is also available without the AA filter in the form of the D800E. 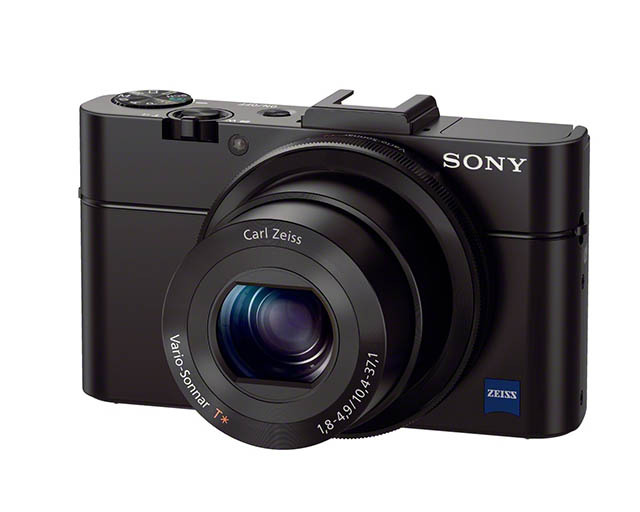 For the more budget-conscious, Sony has also released the CyberShot DSC-RX100 II, which replaces the very popular RX1, also released last year. It features a new 1″ backside-illuminated (BSI) sensor, which Sony claims is 40% more sensitive in low light than the RX1’s sensor. Like the RX1R and many other newly released cameras, Sony has also done away with the AA filter in the RX100 II for delivering sharper, more detailed images. The RX100 II also comes equipped with WiFi and NFC capabilities, allowing one-touch wireless content transfer between compatible devices. Another useful feature is the addition of a 3″which can tilt upwards up to 84º and up to 45º downwards, giving greater versatility and flexibility in composing shots. YS: I’m going to be absolutely biased here, because I don’t like Sony as a company, so it’s really hard for me to say anything nice about them (consequently, don’t expect them or their representatives to be sending cameras for us to review – sorry Sony fans), and really, the prices for these cameras are too much. There might be a case for the RX100, but the RX1 in either form is just madness. David: I don’t like Sony as a camera company either, but I got to admit that the RX100 was a real game changer in terms of compact pocketable cameras with (relatively) large sensors. The RX100 II will no doubt continue this legacy with better quality images at high ISO. Looking forward to trying out this one! The RX1 was likewise a game changer with the smallest compact camera body holding a full frame sensor, with a gorgeous 35mm f2 Zeiss lens, complete with aperture ring – this is the camera Leica should have built. I wouldn’t mind owning one myself if I have the moolah, being a fan of fixed lenses, 35mm primes and full frame sensors. I have tried the camera and it’s almost perfect, except for the price, which is a little on the steep side, but even then, if you buy a similarly decked out Nikon D600 with a Nikon 35mm f1.4G (the 35 f2 doesn’t cut it in terms of equivalent image quality), you will end up paying more, and you can’t stuff that into your jacket pocket. The RX1R is like buying a pocketable Nikon D800E and a Nikon 35 f1.4G while paying less. I can’t see it failing in a market chock full of “me too” mirrorless designs. This one’s a winner!